How much middle school science do you remember? For the 8th grade students of Gaston Christian School, it is quite a lot. These 8th grade students recently participated in class competitions which covered all topics taught in 6th, 7th, & 8th grade science classes. 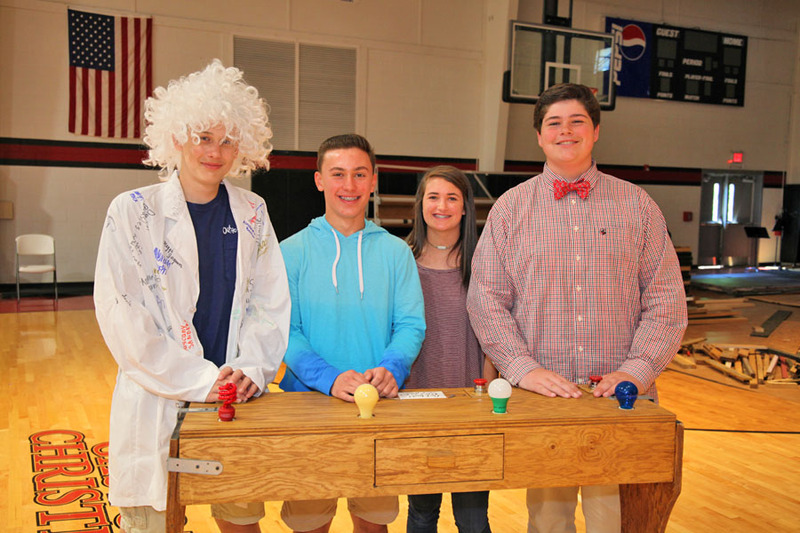 The four students with the highest scores, Chandler Jones, Luke Hoyle, Annabelle Pearson, and Walker Shields, were chosen to compete in the Einstein Project. They competed in a Jeopardy format to determine who was the Einstein of this 8th grade class. 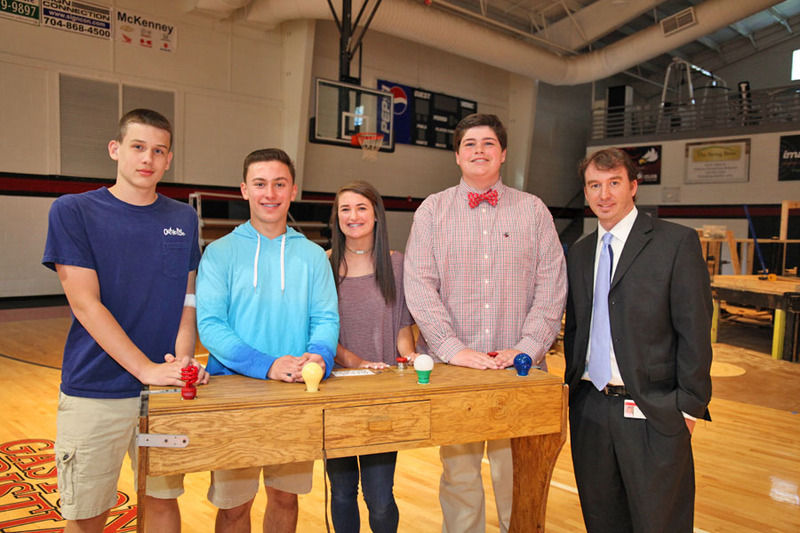 The second place class winners were their scorekeepers: Samuel Ellington, Ben Parker, Bennett Stowe, and Ryan Thornburg. Nicholas Cochran was the light keeper. The winner, Chandler Jones, was presented with an Einstein wig and a lab coat signed by his 8th grade peers. A picture of Chandler, will join past and future “Einsteins” and be displayed in the 8th grade science classroom. The Einstein Project was sponsored by middle school science teachers, Patty Grahl and Jon Huitt.